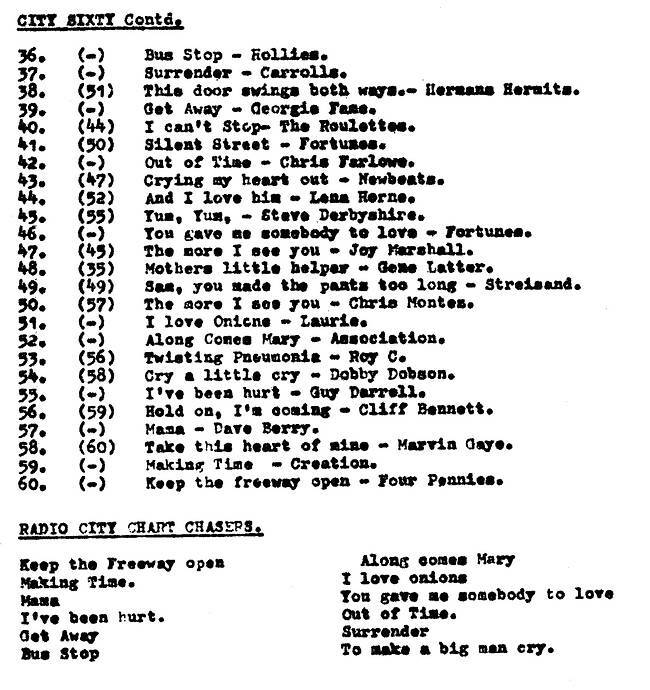 This chart covers a fateful week in the history of Radio City, one in which the station was largely silent. Their base, Shivering Sands Fort, was raided by a boarding party after the station had closed down for the night on 19th June. The intruders forcibly kept the station off the air for a week during which time station boss Reg Calvert was shot dead. There is more about this tragic incident here. Radio City returned to the air at 10pm on 26th June. 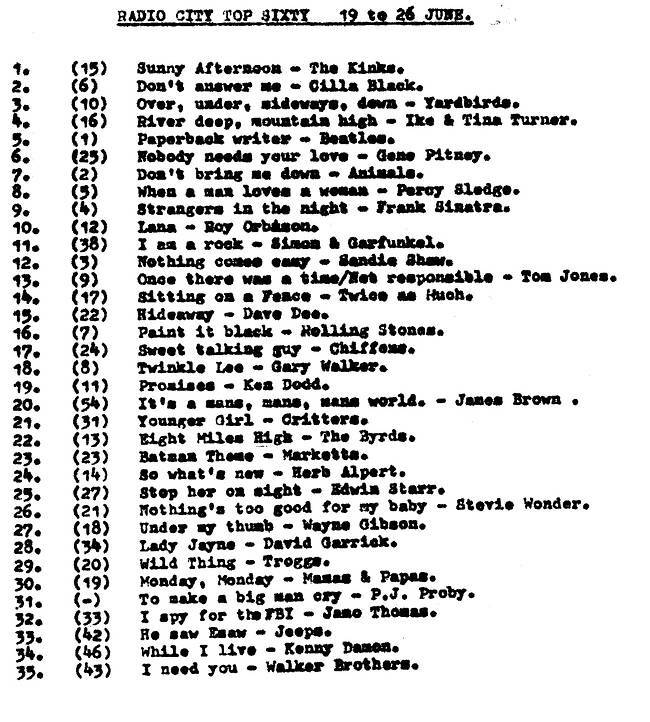 The Big L Fab 40 for this week can be found on the Radio London website. The Caroline South Countdown Of Sound is here.